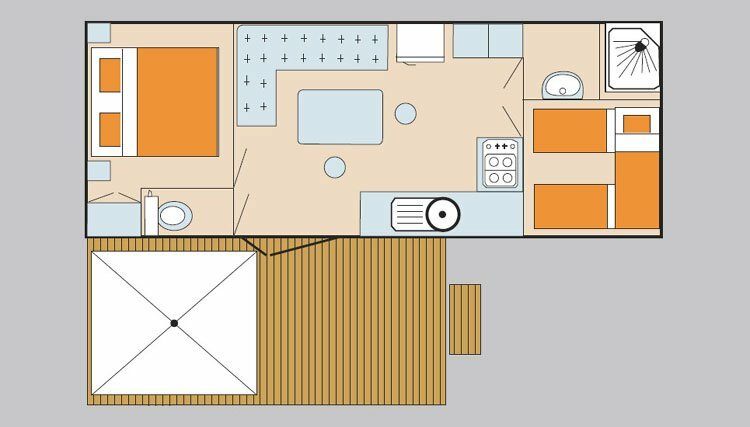 Our 2 bedroom mobilehome has a spacious living/dining area with double doors opening onto the terrace outside. 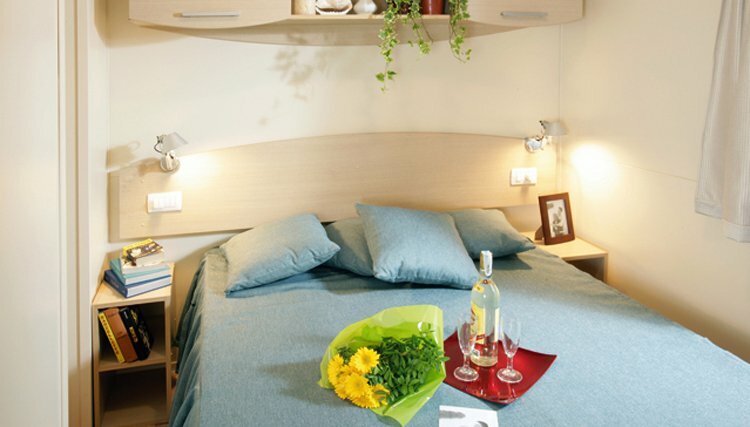 There is a double bedroom and a second bedroom with 2 single beds plus a third single "pull-down" bed (max. 40 kg). 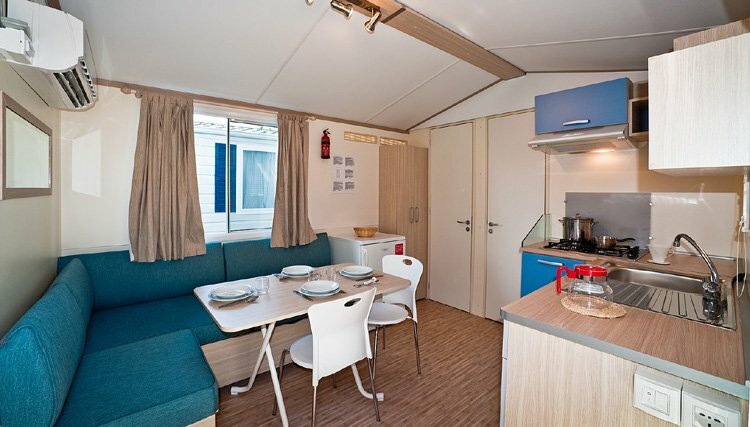 This mobile home has a shower room and a toilet*. 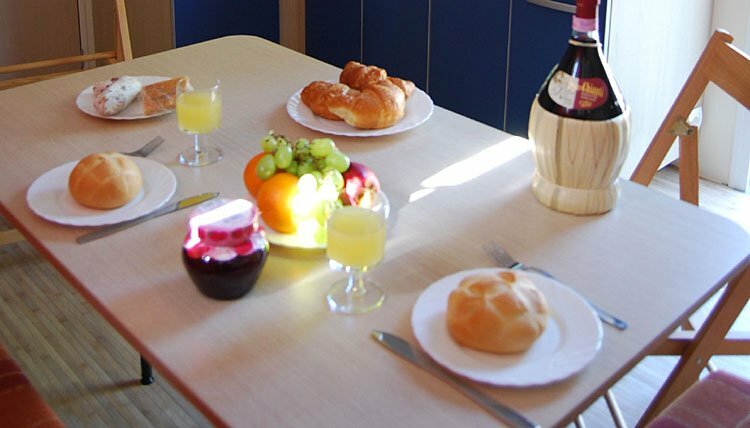 There is a well equipped kitchen area with large American style fridge-freezer, gas hob and everything else you need for a enjoyable holiday, including air conditioning. 1 bedroom with twin beds and a third, pull down bed. Living/Dining area with pull out sofa bed and Air Conditioning. 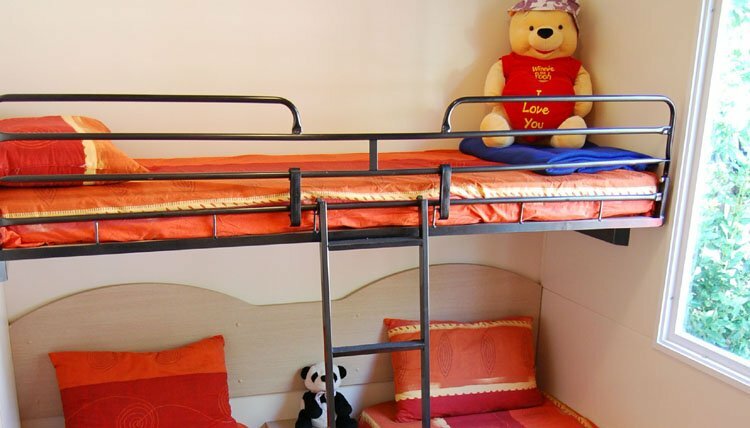 Sleeps for up to 6 (5 adults + 1 child). * On camping Union Lido, the toilet is in the shower room. 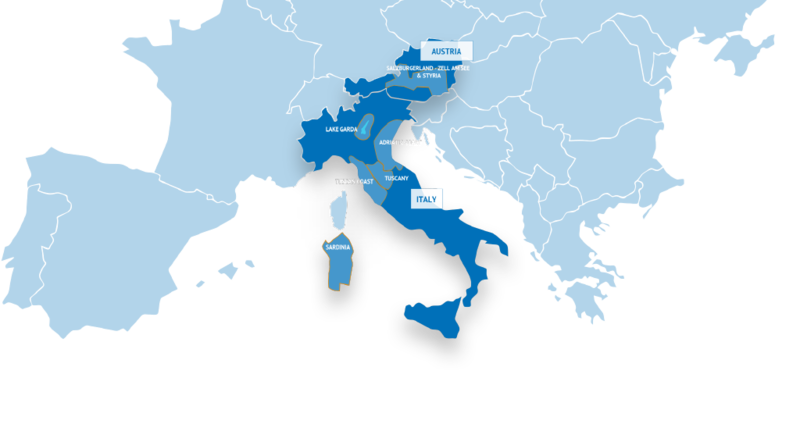 On camping Spiaggia e Mare, some mobile homes do not have a separate toilet. 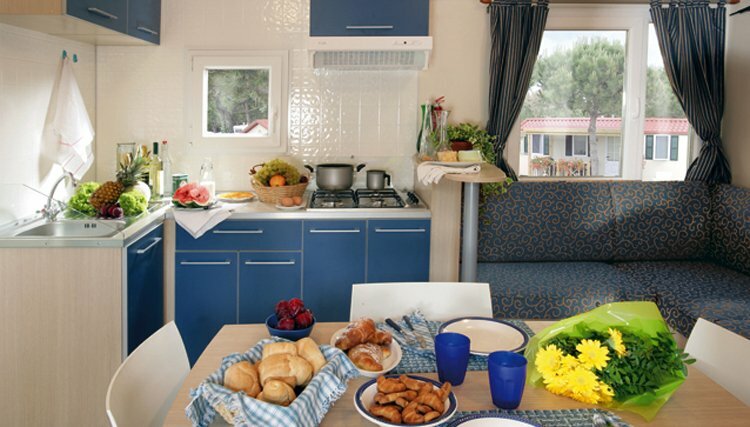 ** On camping Del Garda, the mobile homes have a stone terrace with awning. Model on pictures may differ from the original. Subject to change.